Studies indicate that teens are increasingly turning to steroids to get the bodies they desire, but it seems they either aren’t aware of the dangers or don’t care. Why, then, are we still so lax about tackling this growing problem? This week the UK’s National Institute for Clinical Excellence (NICE) has recommended that in order to address the growing problem of steroid abuse, particularly among young people, needle exchange facilities throughout the UK should be prepared to offer replacement syringes for those abusing steroids. Currently, steroids are a Class C drug in the UK. This means that it is legal to own steroids for personal use. It is, however, an offense to supply or sell to others. NICE is arguing that needle exchange facilities, that previously did not have a formal steroid policy for exchanging syringes for under 18s, could help to keep teen users healthier and, crucially, that needle exchange programs could also be a venue for possible intervention and education about the dangers of steroid abuse. The change in policy highlights that users run the risk of all the same complications that other users of intravenous drugs must deal with, including possibly contracting a number of blood-borne infections like HIV or hepatitis. 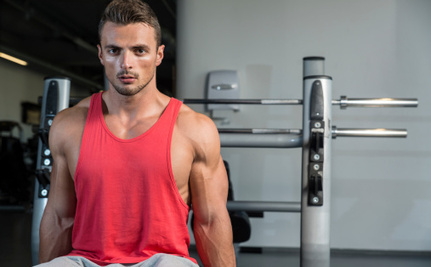 The new guidelines also want to take warnings about the dangers of steroid abuse to the teens and young people who are particularly susceptible by visiting gyms. NICE hopes that through this it might be possible to convince people that nutrition and exercise can be used in combination to achieve their goals. Anabolic steroids can be used to treat hormone problems in men, to tackle delayed puberty and also to try to combat muscle wastage that certain conditions can cause. They are also highly effective for building muscle because they create an environment in the body that is optimal to muscle growth and can also allow people to work harder for longer. Obviously, for those looking to put on substantial amounts of muscle, steroids may seem like an attractive option. However, steroid abuse carries serious risks. Steroid use among adolescents is particularly concerning as there is evidence to suggest that using steroids can also stunt a young person’s growth. All users, no matter their gender, must also deal with a number of serious conditions, and this is where the dangers of steroid abuse over the long term really become apparent. Research shows that steroid abuse can predispose a person to high blood pressure and high cholesterol, heart attacks or stroke, can damage kidney and liver function or even cause kidney or liver failure, and make a user more susceptible to blood clots, which in turn raises the risk of other ailments like DVT. Anabolic steroid abuse can also change, and sometimes considerably, a user’s psychological and emotional well-being. While an increase in aggression and drive might be good in the gym, users find that they can display aggressive or even explosive outbursts outside of that setting. In more extreme cases, steroids have been known to cause episodes of manic behavior and even delusional states. Some users contend that they can manage all of these symptoms by “cycling” their steroid use. This is where users will employ low doses of the drug before slowly increasing their use over a period of nine to twelve weeks. They then take a rest period, usually a few months, before beginning the process again. They may use a combination of steroids and alternate between different steroids to compound the effectiveness and also to let the body recover and try to ward off the side effects steroids can bring. Contrary to popular wisdom among many users, cycling does not appear to significantly guard against some of the more troubling health problems steroids can cause, and there is as yet little research into the long term effects of prolonged steroid use. That’s why when we talk about teenagers using steroids we’re not just talking about the immediate health worries, which may seem superficial at first, but rather the problems they are creating for themselves years or even decades from now. Why Are People Using Anabolic Steroids More? We can speculate on a few causes of rising steroid abuse, particularly among young people. The internet, for one, may make finding out about or even securing steroids much easier than it might have been even a decade ago. We also can speculate that a rise in “gym culture” may also have played its part. While gyms were once the domain of fitness fanatics, many teenagers may now have a low-cost gym pass and in fact may be encouraged to go to the gym so as to live a healthy lifestyle — which, of course, is a positive thing so long as teens are aware of the dangers of excessive exercise and, of course, steroids. It’s almost cliche to blame the media at this point, and blame may be the wrong word. However, people young and old are often exposed to movie star transformations (Christian Bale being one of the most extraordinary in terms of sheer extremes) that are delivered to us without context: we do not see the grueling fitness training behind the transformation, nor do we have access to information about the supplements and diet plans that these stars were using at the time of their change. This may feed into a false perception about how much time and dedication it really takes, and also what pharmaceutical help might be behind some of these transformations. Perhaps, though, a great deal of the burden should be shouldered by the fitness industry itself. They, whether it be health magazines all the way down to gym owners, are in a position to speak directly to groups of young men and women who might be contemplating steroid use and to tell them why it is a bad idea if they value their long term health. Some already have taken steps to do just that, but more action will be needed before we can say this problem is under control.